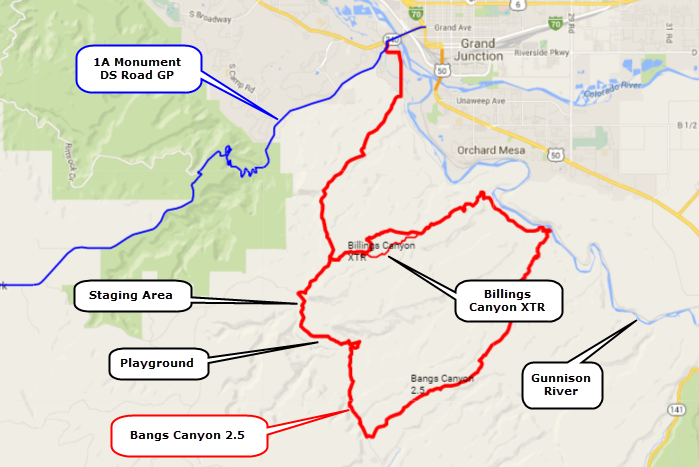 Bangs Canyon trail takes you from a staging area on the Little Park Road high above Grand Junction down to the Gunnnison River and back up to the Little Park Road a mile from where you started. This is a solid 2.5 rated trail, but does not quite deserve a 3.0. Nice scenery. 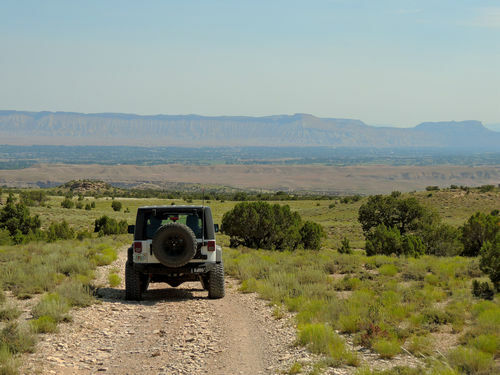 Bangs Canyon is a Special BLM Recreation Management Area that includes trails for both Jeeps and ATVs. This track is one way to make a loop that covers much of the area. Three named roads included in the loop are Tabeguache Trail, Windmill Road and Third Flats Road. 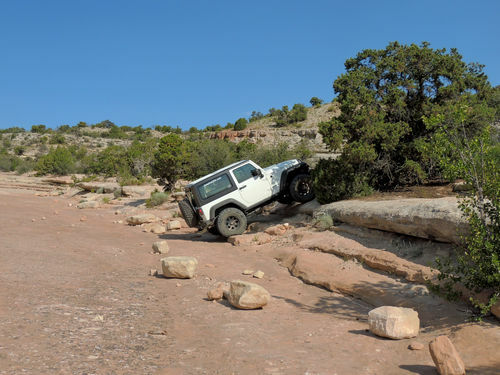 I believe the local Jeep Club calls this loop the Tabeguache - Windmill Loop, but I chose to use the name used by TrailDamage.com. ​This trail is easy enough to be run in either direction but we chose to do it counter-clockwise to get the roughest part out of the way. 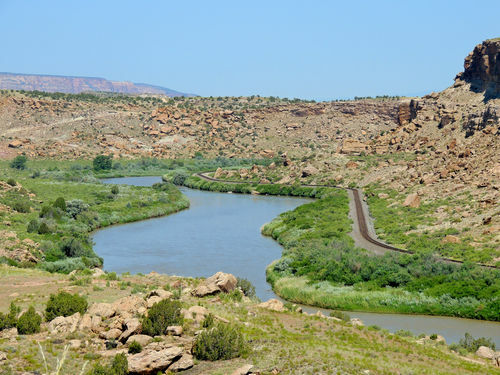 The beginning of the trail is reminiscent of Moab, with ledges, sandy areas and painted trail markings. 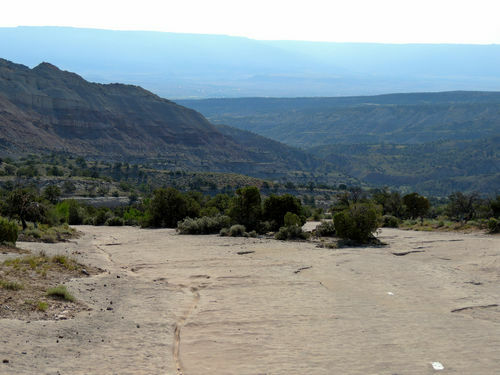 There is even a playground of ledges that the BLM designates as an Open ATV Area. 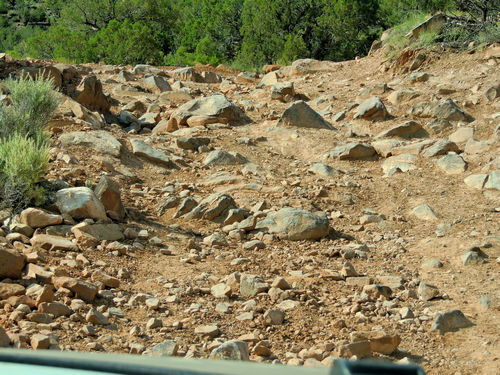 Most of the obstacles that give the trail a 2.5 rating are on the western leg, although there is also an interesting rock at the top of the climb away from the river. 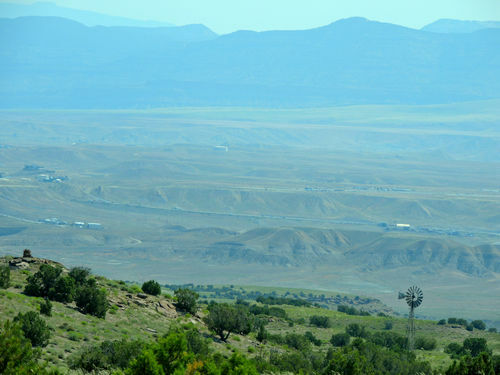 The road from the western leg down to the Gunnison has a lot of open area with great views of the Grand Junction area. 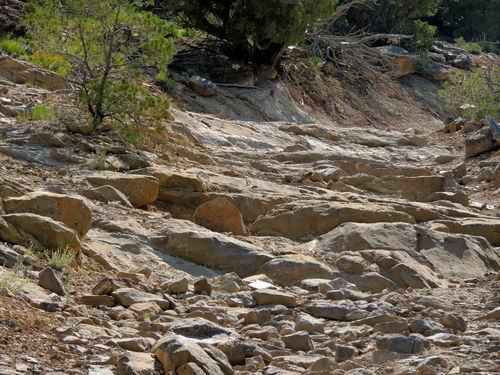 You will pass by the extreme trail called Billings Canyon on your way out.